This report presents the results of research undertaken by Sky to determine the attitudes and aspirations of the UK's next generation of business leaders towards sustainability. 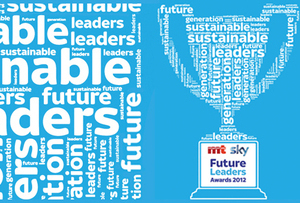 This year, Sky teamed up with market research agency Populus to interview 751 graduate trainees, current and recently graduated MBA students, and high potential middle managers earmarked for leadership positions to find out their attitudes to sustainability. Click the link to the right to download the full report.